The popularity of crewed charters has grown significantly in the South Pacific over the last few years. In the past, these majestic islands seemed out of reach. Visitors now realize these top travel destinations are much closer than assumed offering the full luxury charter service, only a plane ride away. A variety of charter vessels are available in the South Pacific. Fulfill your dreams on a luxury yacht charter in French Polynesia that will leave you breathless. Whimsical, seductive, and simply spectacular, the islands that compose French Polynesia are considered to be the most beautiful in the world. This exotic South Pacific yachting destination consists of five main island groups: the Society Islands, which include Tahiti, Moorea, and Bora Bora, the Tuamotus, the Marquesas, the Australs and the Gambier Archipelago. Natural unspoiled beauty is abundant here and adventures are plentiful in this enticing paradise seemingly designed to perfection. The islands are stunning, boasting of lush green landscapes with towering peaks, deep sapphire and turquoise blue seas, shimmering lagoons, and magical waterfalls. Step ashore to this Garden of Eden and we guarantee you will never want to leave! Discover Tahiti as you sail your luxury catamaran through her perfect wind and sea conditions. Tahiti is truly the queen of the French Polynesian islands, towering over surrounding islands with lush volcanic landscapes which seemingly crown her. The azure colored waves gently roll on to the bright coral reefs off the unspoiled island. 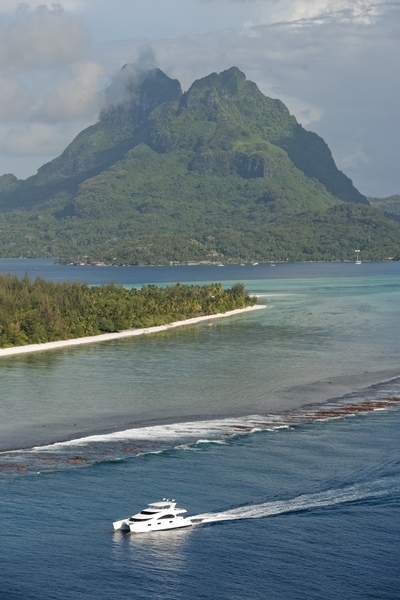 Tahiti features several blue lagoons, ideal for anchoring your crewed charter yacht. 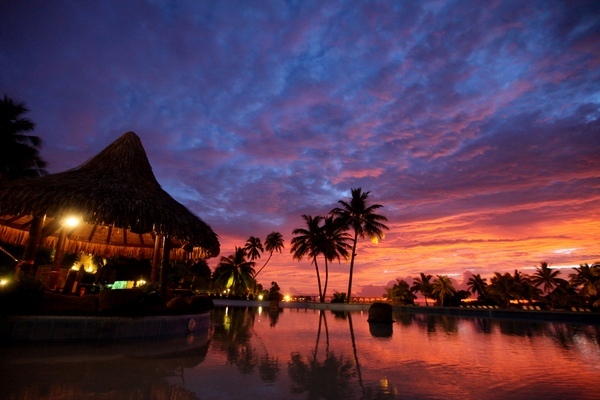 On island and in the sea, Tahiti will impress you with her splendor. 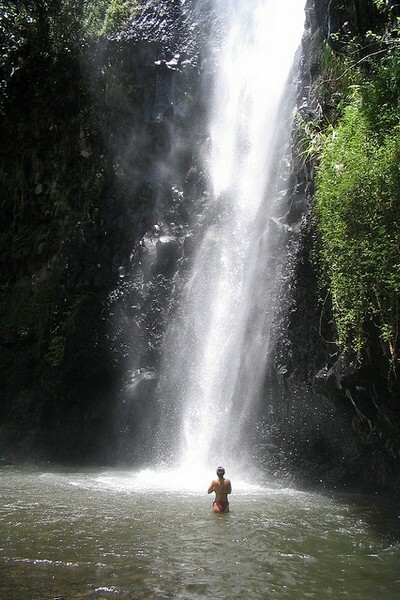 A mountain safari allows you to encounter magnificent views of the island and her fascinating waterfalls. Hiking Mount Aorai is a pleasant and scenic trail, which does not require a guide. Water sport activities are plentiful off the shores of Tahiti. Sports include surfing, windsurfing, and deep sea fishing. There is an abundance of sea life from the surrounding reefs, and various dive sites to choose from including lagoon dives, wreck dives, and fresh spring dives. Each of these unique aquatic adventures offers something different. The visibility at sea is unreal, even from the deck on your luxury charter yacht; guests can discover a wealth of sea life. The Tahitian locals are friendly and generously invite visitors to experience their island and culture. Visit Papeete, the capitol where everything from local to fine dining restaurants, resorts, spas and night life can be found. 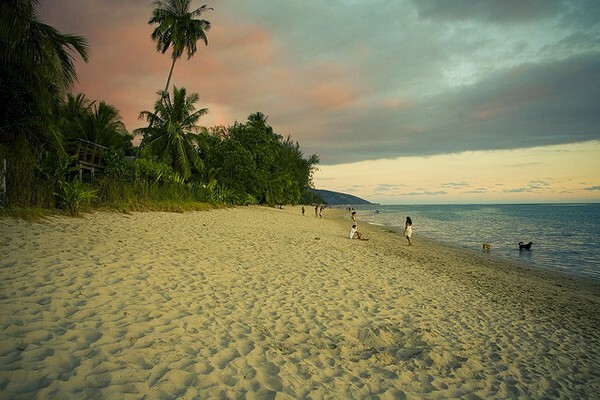 Tonga is an eclectic island, where ancient traditions are embraced with modern life. As you approach the dramatic limestone cliffs and tropical rainforests, imagine every shade of green and blue under your luxury charter vessel. Find anchorage or dockage at the South Pacific’s largest yacht center, Vava. The islands of Vava’u and Eua are more populated and urbanized areas yet are not over commercialized, keeping island ambiance tranquil and relaxed. 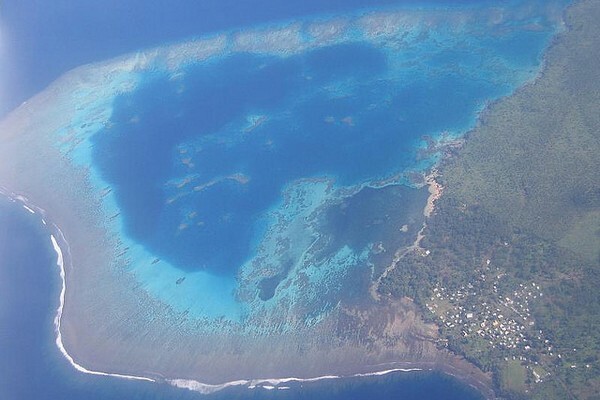 Sail to the different groups of islands surrounding Tonga, roughly totaling 170. The Ha’apai Group has pristine deserted beaches and vibrant reefs, perfect to make your own for the day. Anchoring off these island divers and snorkelers will discover paradise. These crystal clear waters are home to over 100 species of fish, sea turtles, dolphins and humpback whales. Suva is the capitol of Fiji; from here there are a few island groups within short sailing distance. Pamper yourself on your yacht charter to some of the top rated resorts in the world. Most of the Fijian islands feature modern resorts. 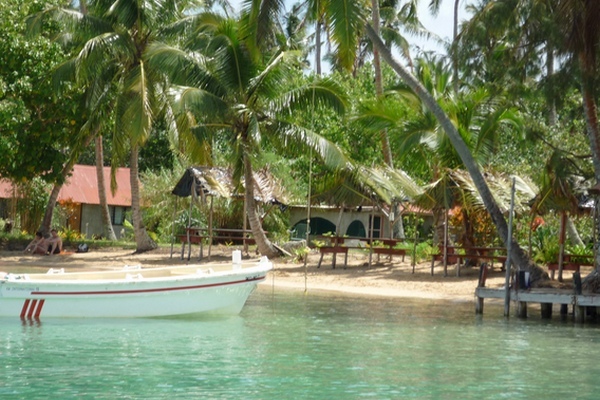 The Musket Cove Resort has been awarded “Best Resort in Fiji.” Musket Cove features a marina which is one of few of the few in the South Pacific catering to charter yachts, offering facilities for visiting charter vessels. Away from the more touristic islands of Mamanuca, the Yasawa Island group, allows visitors to embrace a more natural island lifestyle. These islands are where the popular movie “Blue Lagoon” was filmed. The seemly untouched lands with spectacular landscapes and crystal clear waters are ideal for fishing, diving, and snorkeling. These islands offer something different on your charter experience. Along with all the majestic beauty Fiji holds, visitors are welcomed by peaceful villagers who still inhabit the islands and proudly display their ancient heritage in their everyday life. New Caledonia is surrounded by the world’s largest lagoon, and home to the second largest coral barrier reef. As your luxury catamaran draws near, emerald seas guide you closer to this unique charter destination. New Caledonia has a large variety of botanical species and one of the richest tropical forests in the world. The spectacular Isle of Pines is home to the capitol of Noumea. There are a variety of French influenced restaurants, shops, and designer boutiques. The Northern Province includes remote Melanesian villages which remain unspoiled. 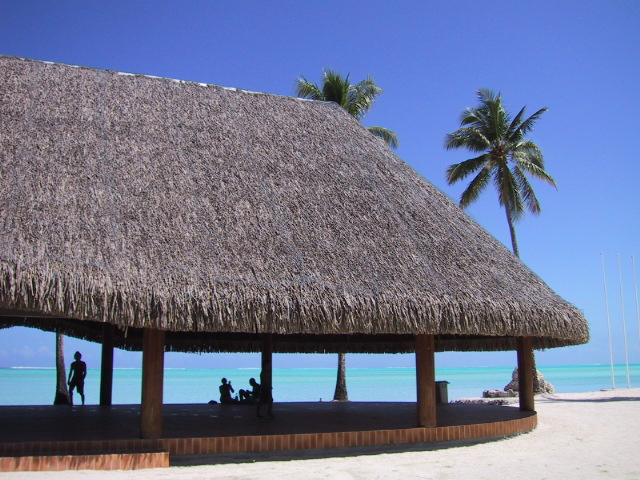 The Loyalty Islands Province includes three deserted pristine palm fringed islands. All outer islands are surrounded by reefs, greatly appreciated by divers and anglers. The natives of New Caledonia natives preserve their traditions in daily life. The Melanesian heritage is reflected in the islands architecture, arts and crafts, and generous personalities. This combines with a distinct French influence, creates an elegance and memorable luxury charter experience. The tropical island of Vanuatu lies between Fiji and New Caledonia. The only way to get here is by sea, so you are in luck arriving on your luxury charter catamaran. The islands of Vanuatu have a stunning volcanic beauty, complemented by picturesque beaches. The island’s population is mainly Melanesian, rich in cultural heritage and values. Visiting the island of Malekula, you can experience the extraordinary cultural ceremonies and dances. The capitol, Port Vila has lovely restaurants bars and resorts for fine dining to casual atmospheres. The world’s most accessible and active volcano can be seen on the island of Tanna. Along with the scenic and cultural beauty of the island, your luxury charter would not be complete without the world class diving sites off the island shores. Colorful coral reefs are filled with sea life, especially off the northern shores of Vanuatu. The South Pacific islands boast a rare yet alluring beauty. Your luxury crewed charter or bareboat charter will take you on an unforgettable voyage filled with scenic landscapes, pristine beaches and resorts, where you have the opportunity to uncover the ancient marvels of the islands culture and their gentle inhabitants. Ready for the South Pacific? Please contact Sunreef Yachts Charter for more information availability.